This issue includes Men’s Lunch, Carer’s Support Group, Just Move and Strength & Balance Classes. Complaints & Feedback Management including Procurement complaints information. 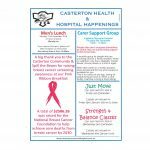 Casterton Memorial Hospital values employee and all consumer participation and encourages both positive and negative feedback. The organisation aims to present open and accountable services that reassure consumers that their feedback is welcome and will be dealt with fairly and timely. It is acknowledged that the organisation will not always be able to meet expectations; however feedback is seen as an essential component of understanding hoe our services are perceived. This feedback may be used in determining quality improvement initiatives and working towards addressing identified gaps. Please enjoy Casterton Memorial Hospital’s Quality Account for 2017/2018. 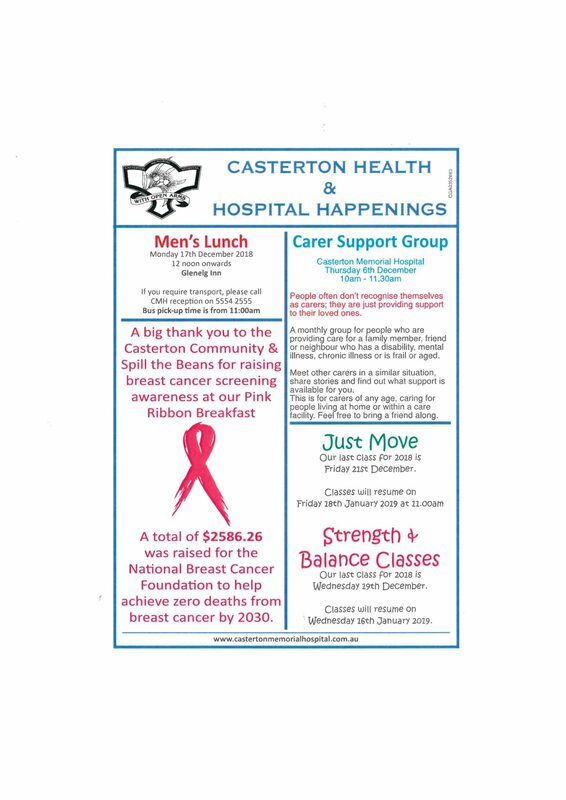 Casterton Memorial Hospital Annual Report for the 2017/2018 Financial Year.